At our Bradenton dental office, our goal is to provide patients with lasting dental solutions that enhance every part of the smile. As a comprehensive dental care provider, Dr. Shepherd Frenchman offers both the surgical placement and restoration of dental implants to residents of Bradenton and surrounding communities. Frenchman uses his extensive training and continuing education courses to provide the proper, safe delivery of dental implants. For over 18 years, Dr. Frenchman has been placing dental implants and he continues to utilize the most cutting edge techniques to ensure patients receive the highest quality of implant treatment. Versatile, comprehensive, and permanent, this treatment allows patients to enjoy renewed dental function without compromising the aesthetics of the smile. Implant-based restorations are made of three unique components – the implant post, which is surgically placed into the jaw; the restoration, which can range in size from a single crown to a full overdentures; and the abutment, a small piece that connects the restoration to the post. Placed over a series of appointments, dental implants are designed to mimic the different parts a natural tooth, providing patients with a life-like replica of their original tooth. Dental implants are self-supportive. By stimulating the jaw bone, implant patients are able to enjoy improved bone strength and preserved facial structure. 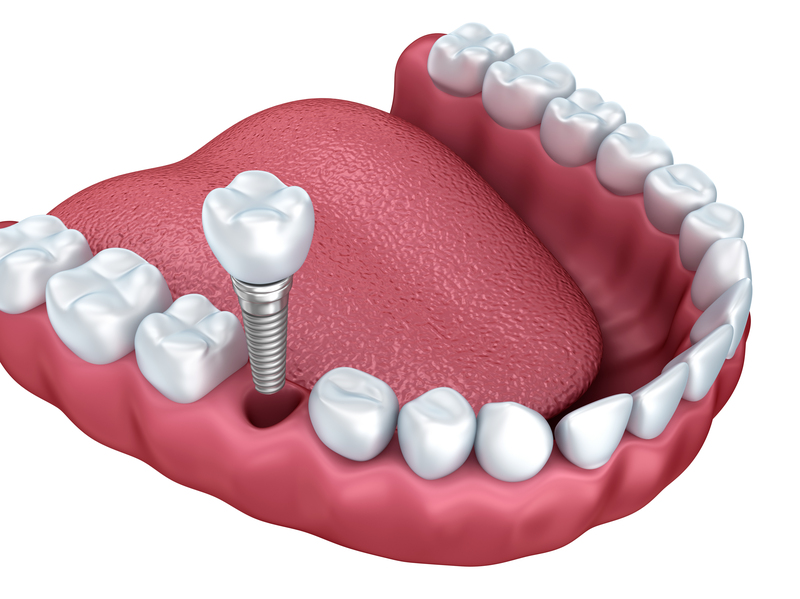 Since implants fill the gap left by missing teeth, they are able to prevent bite misalignment while leaving neighboring teeth intact. Since dental implants fully integrate the bone into treatment, individuals are able to avoid the appearance of premature aging and facial collapse. Additionally, implant restorations are designed to blend in seamlessly with the rest of the smile. By relying on lab manufactured crowns, bridges, and overdentures, our Bradenton implant dentists are able to help patients achieve a natural looking smile. Even if secured with adhesive, poorly fitting dentures and partials can slip around in the mouth, compromising a patient’s ability to complete basic dental functions such as biting, chewing, and speaking. For individuals with multiple tooth loss, dental implants can be used to secure restorations to the dentition, allowing individuals to regain full dental function. With proper care and an effective oral hygiene routine, dental implants can last a lifetime. In the event that the restoration portion is damaged, replacement is a simple, straightforward process. Patients do not need to worry about the frequent maintenance costs and upkeep that often accompany traditional dentures. Bradenton implant dentist, Dr. Shep Frenchman, is committed to helping patients achieve lasting oral health and aesthetic results. For more information on the implant treatment process and to determine whether dental implants are the right solution for your smile, contact Bayshore Gardens Family & Cosmetic Dentistry today.